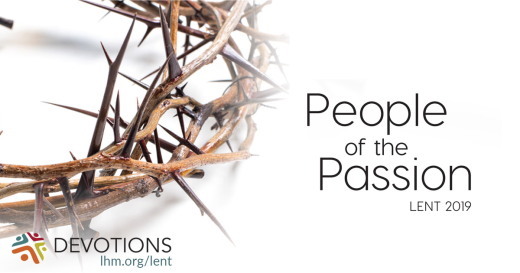 (Jesus said) "She has done what she could ..."
Six days before Passover, Mary and Martha gave a dinner party in honor of Jesus at the home of Simon the leper. This wasn't long after Jesus raised their brother Lazarus from the dead, and no doubt their hearts were still full of thankfulness and joy. Mary was so moved that she took the opportunity to pour extremely expensive perfumed ointment over Jesus' head and feet. This was a customary way of honoring an important guest, but she carried it to an extreme! And several of the guests there criticized her. But Jesus defended her. He said, "Leave her alone. Why do you trouble her? She has done a beautiful thing to Me. ... She has done what she could; she has anointed My body beforehand for burial" (Mark 14:6, 8). That was a strange and jarring thing to say—His burial! I doubt Mary was consciously thinking of Jesus' burial at the moment when she poured the ointment on Him. And yet Jesus took her action that way. He knew, if nobody else did, He knew that within the week He would be dead—and His burial would be a hasty one, with no time for much preparation. "She has done what she could"—and Christians all around the world still honor her for doing what we could not, and showing that love to Jesus. But it didn't end there. After Mary did what she could, Jesus did what He could—which was to be willingly arrested, suffer, and die, all to save us from everlasting death and damnation. He did what He could for the same reason as Mary—overwhelming love. And what He did was effective! For now that He has risen from the dead, He gives everyone who believes in Him everlasting life and joy. He did what He could—and that is enough for us forever. THE PRAYER: Thank You, Lord, for doing what You alone could do to save us and make us Your own. Amen. What particular gifts, skills, or advantages do you have that you use to serve the Lord? Think of someone you know who did what they could for the love of Jesus. What is that person's story? What one small thing will you do today for the love of God?